Nice holiday home with private swimming pool, lots of privacy and easy and quick to reach. 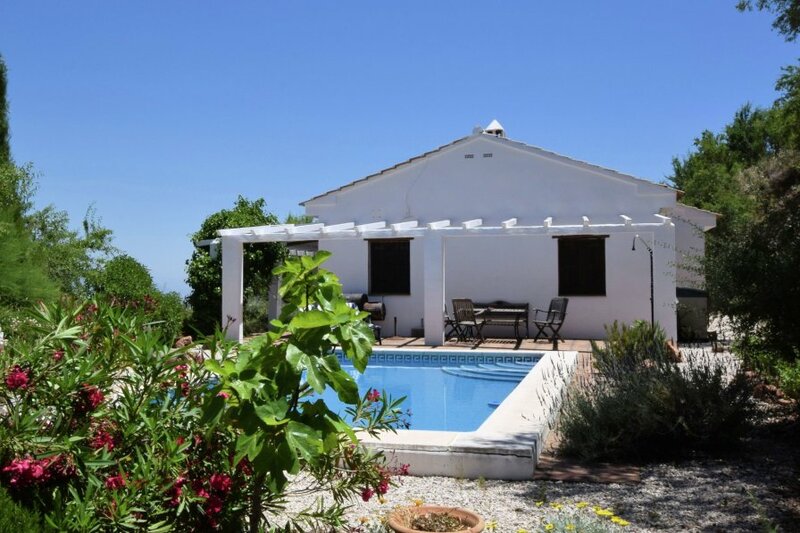 The house is situated in a central location in Andalusia, near the village of Colmenar, in a quiet and rural area with olive and almond trees. The house is ideal for 4 people, even though it sleeps up to 6. Around the house there are terraces where you'll always find a spot in the sun or the shade and where you can enjoy the view over the valley. You'll regularly hear the bells of the goats higher up the mountain. Because of the location in the hills you can enjoy cooler evenings during the warm summer. There's no fence around the garden or the pool; the house is therefore not suitable for small children. In Colmenar you'll find all the necessary facilities like supermarkets, a pharmacy, restaurants, tapas bars, etc. Within 10 minutes you can be on the main road, making it easy to go on day trips. Nice day trips are a visit to Antequera with its Dolmens, nature reserve El Torcal and the Caminito del Rey (the royal path through the El Chorro gorge). But you can also easily reach Granada (1 hour), Córdoba (1 ¼ hour), Sevilla (1 ¾ hour) and of course the Costa del Sol.